Whether you follow the 15 step K-beauty skincare routine or you’re a minimalist when it comes to your skincare, these products should be applied in a certain order to get the maximum results. Before applying any skincare product you should clean your skin well. Start by removing your makeup, if you are wearing some, then do another cleanse to remove any dirt or stubborn makeup residue. You have to ensure your skin is well cleansed so you don’t clog your pores thus create future blemishes. 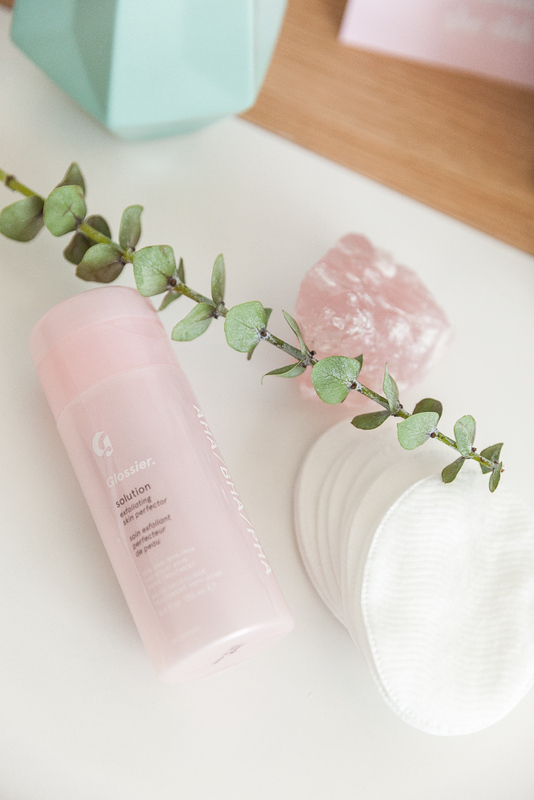 Now that you have a clean canvas to work with, apply a gentle toner to your face and a let it sink in your skin before moving to the next steps. Whether you use a store-bought beauty mist or you make your own a mist will help prep your face for the upcoming steps and will give you a boost of hydration. 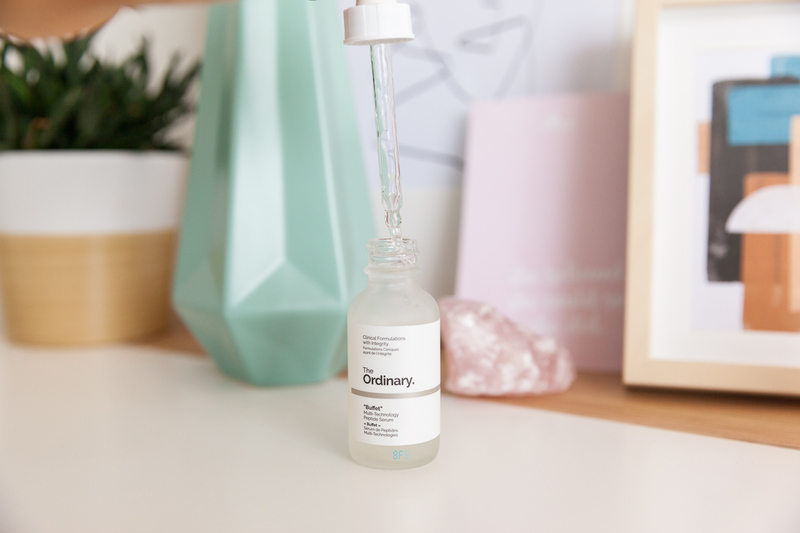 I wasn’t a believer in the power of serums until I started using The Buffet serum from The Ordinary. It honestly transformed my skin. So if you use serums, make sure you apply them after the facial mist and before the moisturizer. Keeping your skin hydrated is the key to having good and youthful skin. Let your serum sink in for a few moments before applying moisturizer all over your face and neck. I personally believe in having a targeting serum, for example, anti-aging, acne healing… etc. and choosing your moisturizer simply for hydration. A well-hydrated skin is a great early defense against wrinkles and fine lines. A face oil should be the last step of your routine. In their nature, oils are thicker than the previous products and tend to create a barrier on top of your skin. So you want to make sure you applying all the products beforehand and gave them the right time to be absorbed by your skin before finishing off with your oil. And lastly, the most important step of them all is applying your sunscreen. Your SPF should always come as the last step of your skincare routine. Take a few minutes to let all the products you applied sink in your skin before applying SPF all over your face to protect it. After sunscreen, you can go ahead and apply makeup over it. Also, remember to reapply your sunscreen during the day. 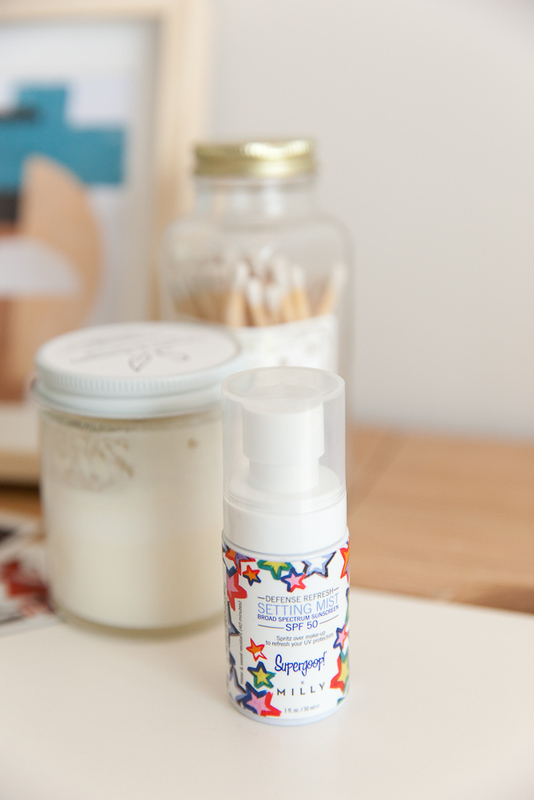 If you’re wearing makeup, a great product to reapply sunscreen during the day is this Supergoop Setting Mist with SPF 50. It doesn’t interfere with your makeup and it’s untraceable while keeping your safe! 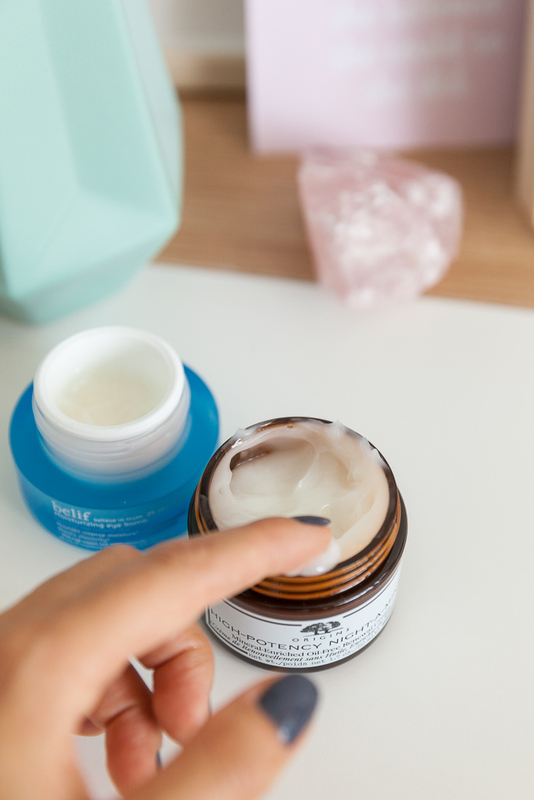 Again whether you choose to follow all these steps of just pick 2-3 depending on your needs, these skin care steps should be followed to ensure you’re getting the most out of your products. Always make sure that you’re giving these products time to sink in your skin before applying the next step. Also, make sure that the products that you’re using are compatible. 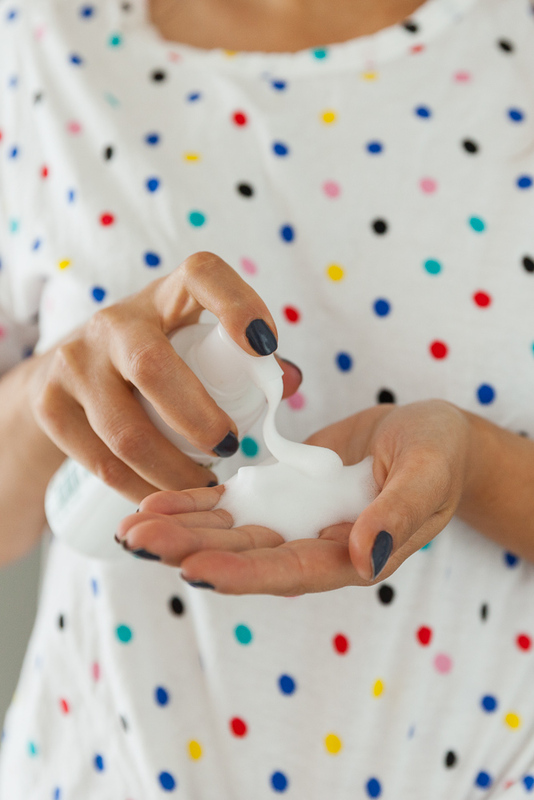 There are a lot of ingredients that when mixed in can actually do harm to your skin so always speak to your dermatologist before introducing a new product to your skincare routine. I’ve always done oil before moisturizer! I’m going to try to switch that! I also never now about sunscreen. I usually put that on before my moisturizer too! Oils are thick and they will prevent the moisturizer from sinking in, that’s why they come after them. Thank you for reminding me about sunscreen, I don’t know how I forgot. I’m updating the post now. Thank you!